Our client, Miss K, suffered a major blood vessel injury during gynaecological surgery requiring admission to ICU, further surgery and bowel complications. Miss K, who at the time of injury was aged 31, had a relatively complicated medical history and had suffered endometriosis for a number of years. She developed left iliac fossa (abdominal) pain which her surgeon, Mr Yanamandra, thought was due to pelvic adhesions (fibrous bands that form between tissues and organs). He thought a laparoscopy surgery to place a camera inside the abdomen might be necessary. Miss K attended St Peter’s Hospital in Middlesex via Accident and Emergency with flank (back) pain. It appears that there was some disagreement as to what was causing the discomfort. An exploratory laparoscopy was planned. Three years later Miss K underwent the procedure under the care of Mr Yanamandra. During the procedure, a Veress needle punctured the inferior vena cava vein. This is one of the major veins which carries deoxygenated blood from the lower and middle body into the right atrium of the heart. Miss K required three units of blood, and a vascular surgeon was called to try and control her blood loss. Miss K was transferred to the Intensive Care Unit (ICU) at St Peter’s Hospital after the surgery. After a further week on the normal ward she was discharged. She returned to hospital five days later, but she was sent home again despite having ongoing abdominal pain, not having opened her bowels or passed flatus (gas). She returned to hospital the following day with ongoing abdominal pain, nausea and vomiting. A CT scan showed her small bowel was dilated and her colonic walls were thickened. A nasogastric tube was inserted to drain her stomach and Miss K was discharged eight days later without surgical intervention. However, she was admitted two weeks later with further abdominal pain and nausea. Her small bowel had become increasingly distended and a laparotomy was performed. The small bowel adhesions and adhesive bands were divided, no abnormality was found. The claimant has suffered ongoing bowel complications and remains on an altered diet since that time. Oliver Chapman, specialist clinical negligence lawyer, was instructed by Miss K. He obtained medical evidence from a gynaecologist on breach of duty and causation and from a colorectal surgeon regarding the bowel complications subsequently experienced as a consequence of the adhesions. We also obtained a report from a consultant psychiatrist as Miss K had also suffered a psychiatric injury as a result of the complications she had suffered. A plastic surgeon also give an opinion regarding the significant scarring she had. The defendant admitted breach of duty, and made some admissions regarding the causative impact of the negligence, but also made some denials. However, the parties negotiated an out-of-court settlement of £80,000. 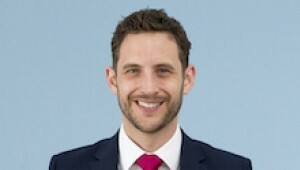 Oliver Chapman specialises in gynaecology cases. If you would like to ask Oliver a question about a potential case, or if you have a general query about any clinical negligence, contact Oliver at Thomson Snell & Passmore solicitors on 01892 701234 in confidence.